Are you taking a date out on a night on the town in a limo? If so, don’t just pick any limousine. You want to get it right if you’re looking to make the night special. 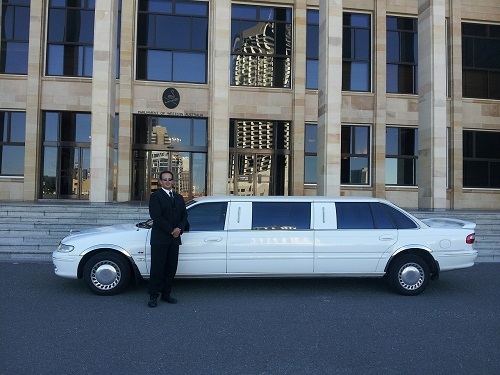 Choose the right limousine hire Perth. Let us give you the advice you need to know! First, you need to get the right limo. That means you’re looking for something intimate, when in a date context. There are limos in various sizes. Most people are familiar with the stretch design, or even the super stretch one. However, there are also sedan-sized models. Sedan ones are cosier and tend to have more luxury, but the other models have more room. For a date, you want to be close and intimate. A sedan limousine hires Perth is your best choice unless you’re trying to impress. You want features that promote privacy, so you can feel free to be intimate. Excellent limo service companies will have drivers that are discreet and professional, with no concern for what goes on in the back. However, if you’re looking for private moments, you’ll want the right features for that. Tinted windows and a privacy divider only you can control are the core here. You’ll want to have their favourite things inside the limo, ready to go. The perfect scene should be playing, to have maximum effect. Have their favourite music play. A good wine or drink, or one that they like, should be ready. Food and snacks that are also preferred should be chosen. These small touches can help make it feel more intimate, rather than an open interior or something like generic romantic music and chocolates. These touches show that you think about them. That you consider what they like or know them well. It shows more than just a desire to impress, but also concern and interest in what they want. It helps build the mood. A movie once said that the key to a woman’s heart was an unexpected gift at an unexpected time. What this means is that you don’t need to wait for some special occasion to rent a limousine. Do it just because you thought of it. Surprising your loved one is a great way to show a romantic side. Be spontaneous, be smart. Pick them up from work in a limo or drop them off at an important meeting that way. You could just spend a few hours driving around in one, taking in the sights.